With Easter being so early, we wanted to give visitors an added reason to join us in our beautiful part of the world, the North Norfolk Coast. Not only can you enjoy a fabulous walk on one of our lovely beaches and be inspired by our huge skies, but you can also shop till you drop and eat well. Joining the lovely permanent shops of Dalegate Market, are more than 30 Norfolk artisans and producers who are passionate about this beautiful part of the world and the products they make and sell. 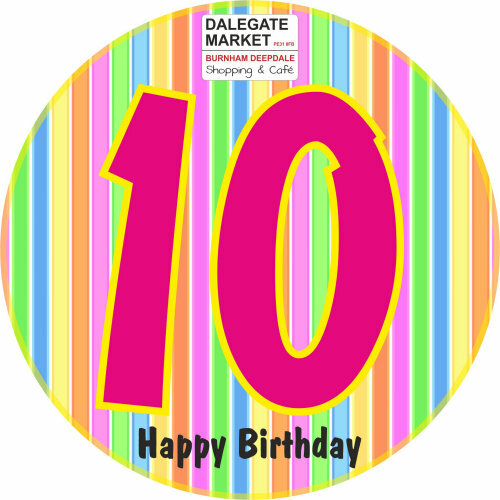 The main collection of stalls will be hosted in a large marquee, named the Dalegate Tent, at the front of the Dalegate Market site by the permanent shops. Around that tent will be outdoor stalls, and then in the beach hut pop up shops will be another group of stall holders. It isn’t just shopping you can do. 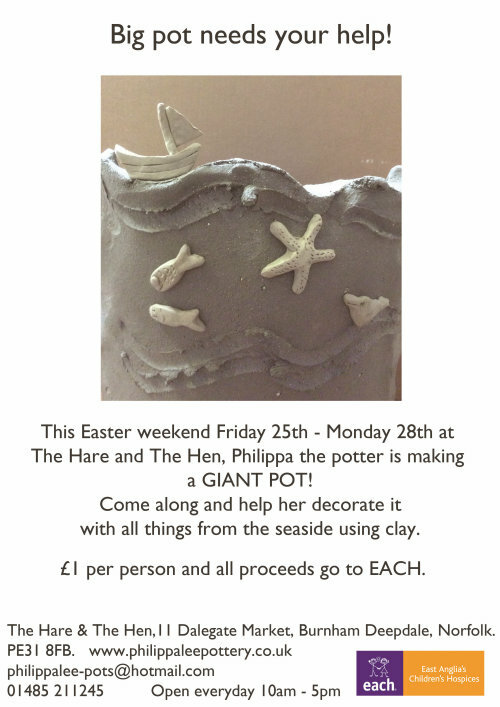 Philippa Lee, our resident potter, has created a giant pot, and she’d love your help to decorate it. All the proceeds will go to EACH (East Anglia’s Children’s Hospices), and all ages are welcome to get their hands dirty. Pop into The Hare & The Hen to help. The Hare & The Hen also have a special exhibition of Alfie Carpenter paintings. Westfield Forge will be giving blacksmith demonstrations, creating beautiful items while you watch. They’ll be beside the beach hut pop up shops. Naturally you can enjoy delicious food and drink from Deepdale Café, who will be open for breakfast, lunch and afternoon tea. Throughout the Easter weekend, St Mary’s Church, the village church on the opposite side of the road have a series of events, which visitors are welcome to join in with – Pilgramage along the coast (Friday), From Darkness to Light service (Saturday) and of course the Easter Day Service. We are looking forward to welcoming people throughout the Easter weekend, but of course Dalegate Market is open throughout the year with lovely shopping, plus excellent food & drink. So if you can’t make it to the North Norfolk Coast this Easter, join us at point in the year. 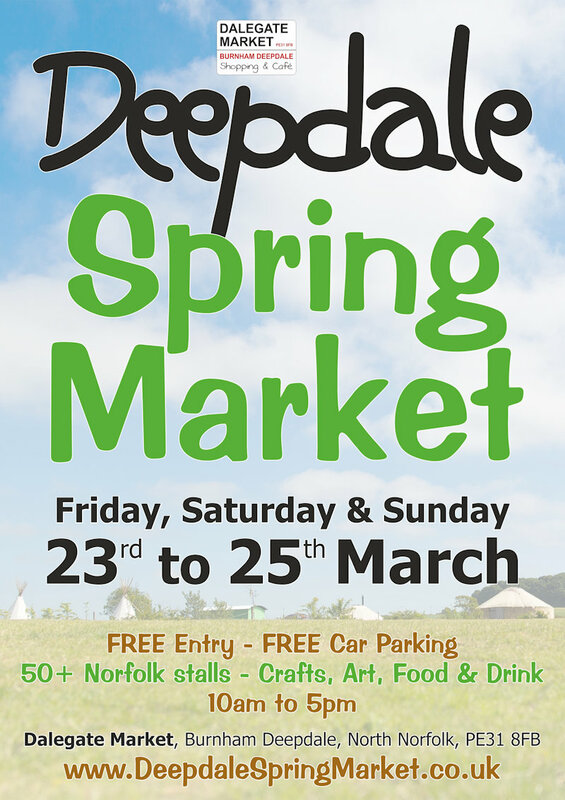 Deepdale Spring Market takes place on Friday 25th to Monday 28th March at Dalegate Market, in Burnham Deepdale on A149 Coast Road. Drive, cycle, walk or jump on the Coasthopper bus.